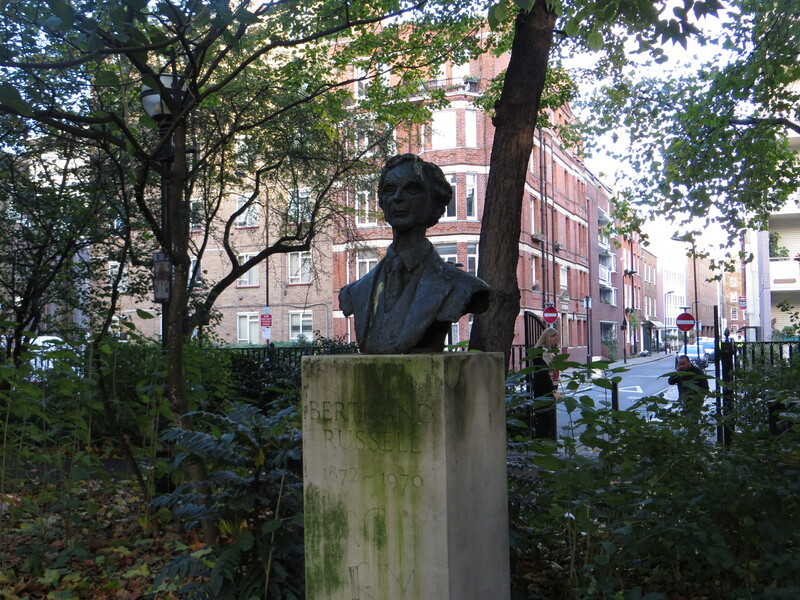 I walked out of Lincoln’s Inn Fields by Little Turnstile, a one-person, winding passageway between Gate Street and Holborn and previously a barrier which prevented the cows from straying out of, or in to, Lincoln’s Inn Fields. 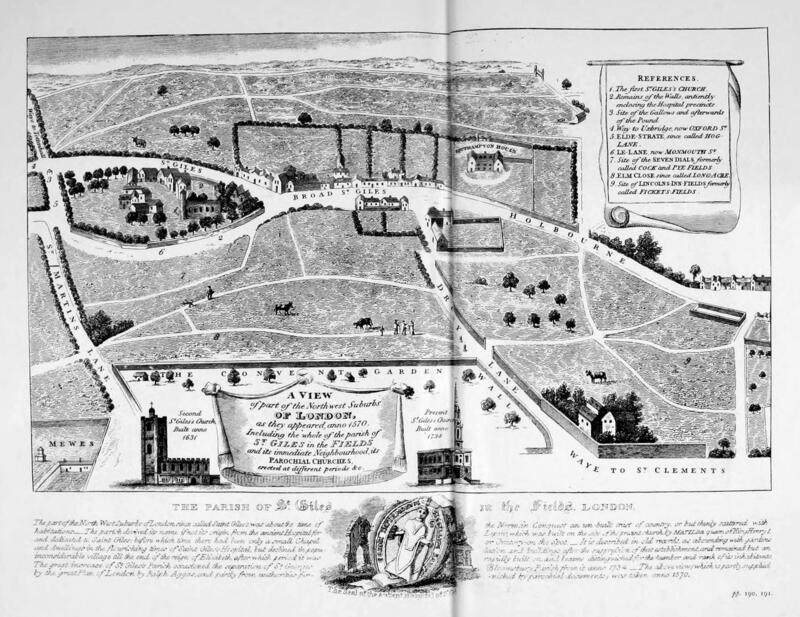 Cows and fields all seem rather far-fetched until you look at a map like this, and realise just how slowly London grew. 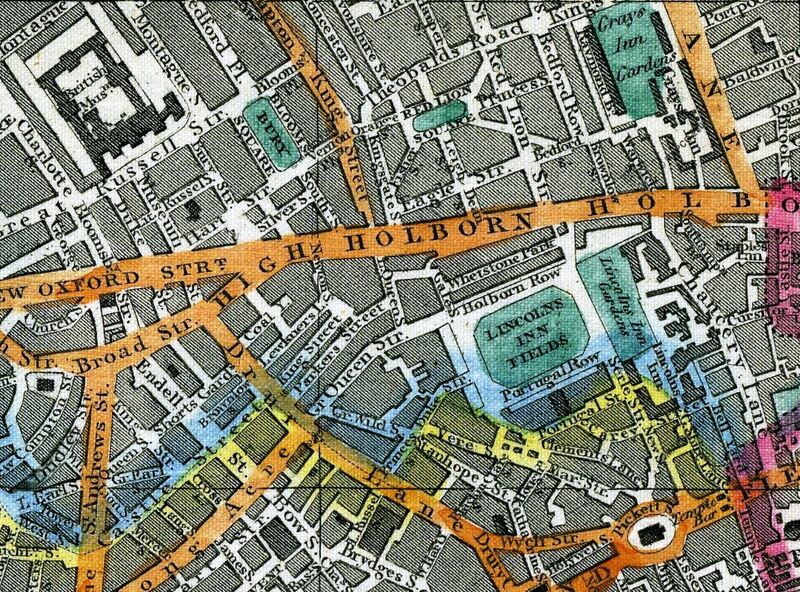 This map of 1851 shows the square having a different shape but both the map and the print above show the diagonal streets at the corners of the square. 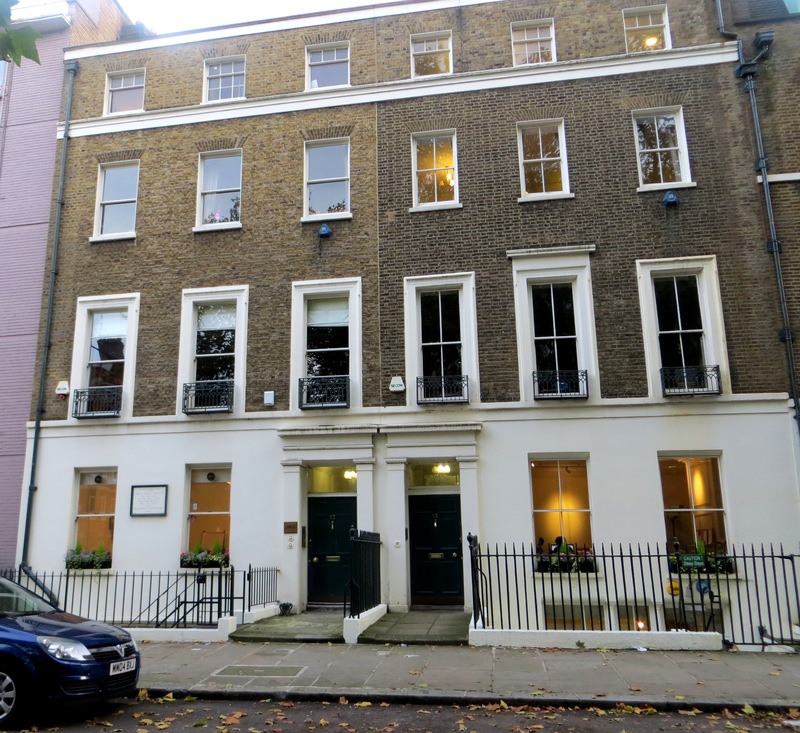 The diagonal street at top left is still there, passing the Conway Hall. 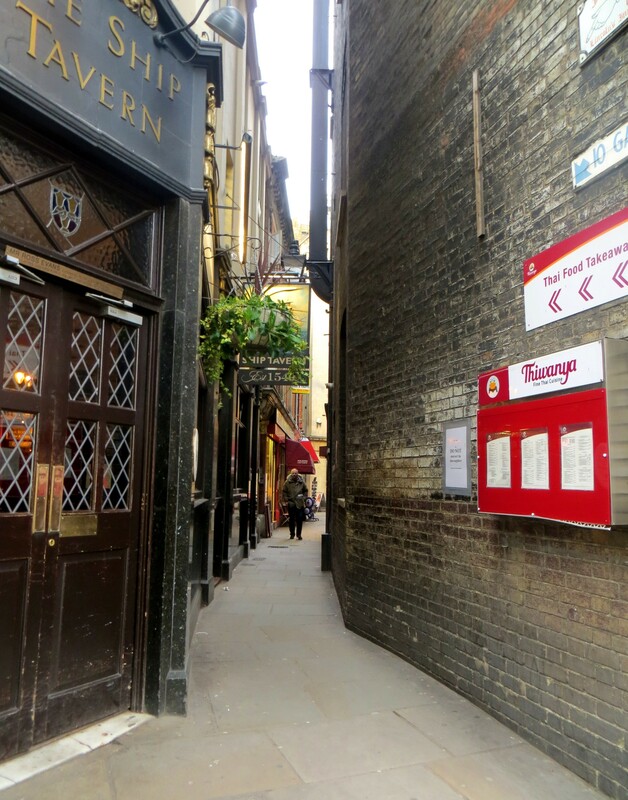 (Fascinating article here on ‘lost streets’ and use of apps!) These diagonals are described here as ‘foot passages’. 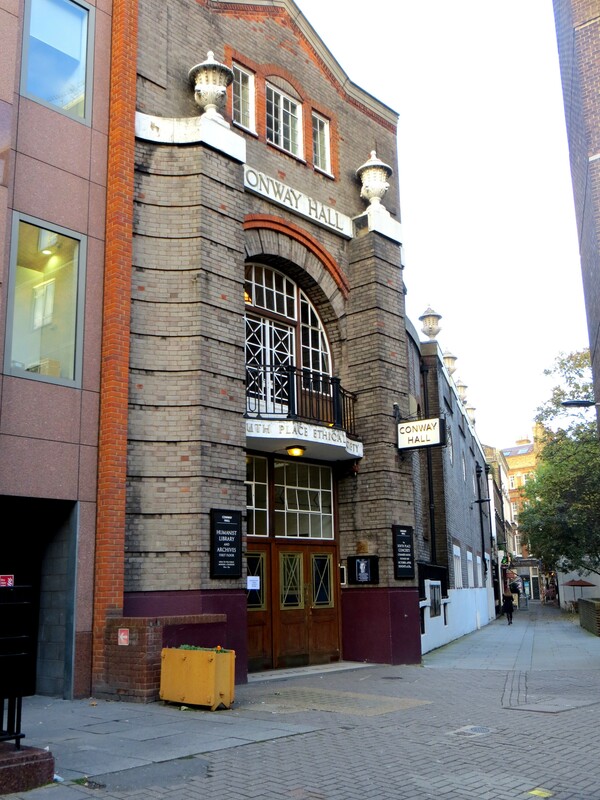 The South Place Ethical Society was founded in 1793 as a free-thinking quasi-religious organisation, and is now housed in Conway Hall at the north-east corner of the Square. 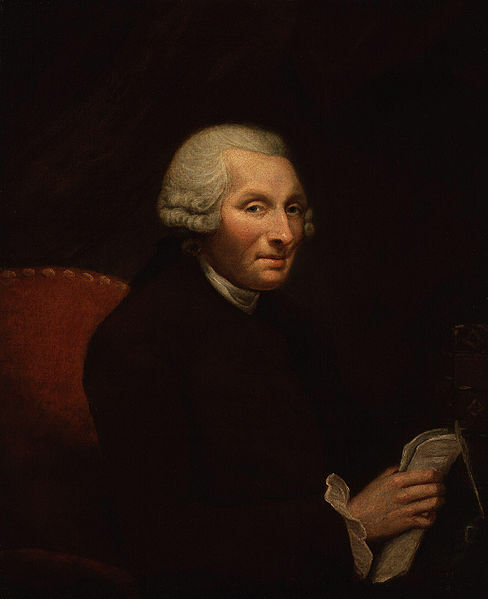 The Hall is named after Moncure Conway, a leader of the society and was purpose-built for the society. ‘Ethical’ was dropped from the name in 1969. The Sunday concerts date back to 1878. In the 18C and 19C the square was occupied by well-to-do or professional people, but Mr Bradshaw only asks me to note a few buildings. 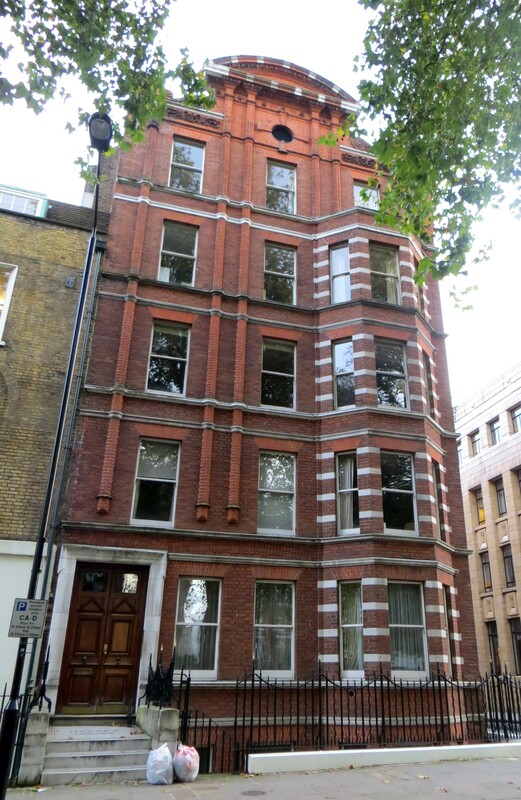 ‘..The Mendicity Society [no.13 Red Lion Square], an excellent institution, and as serviceable for assisting the really necessitous poor as for the invaluable aid which it furnishes to the public in detecting the extensively ramified system of the begging letter impostor..’! 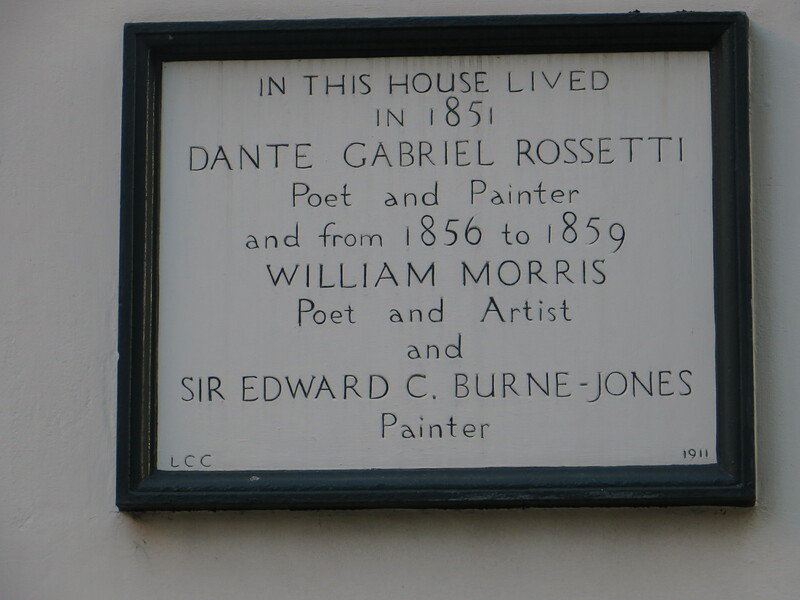 ‘..In this house [No.17 Red Lion Square] lived in 1851, Dante Gabriel Rossetti, poet and painter, and from 1856 to 1859, William Morris, poet and artist, and Sir Edward C. Burne-Jones, painter..’. 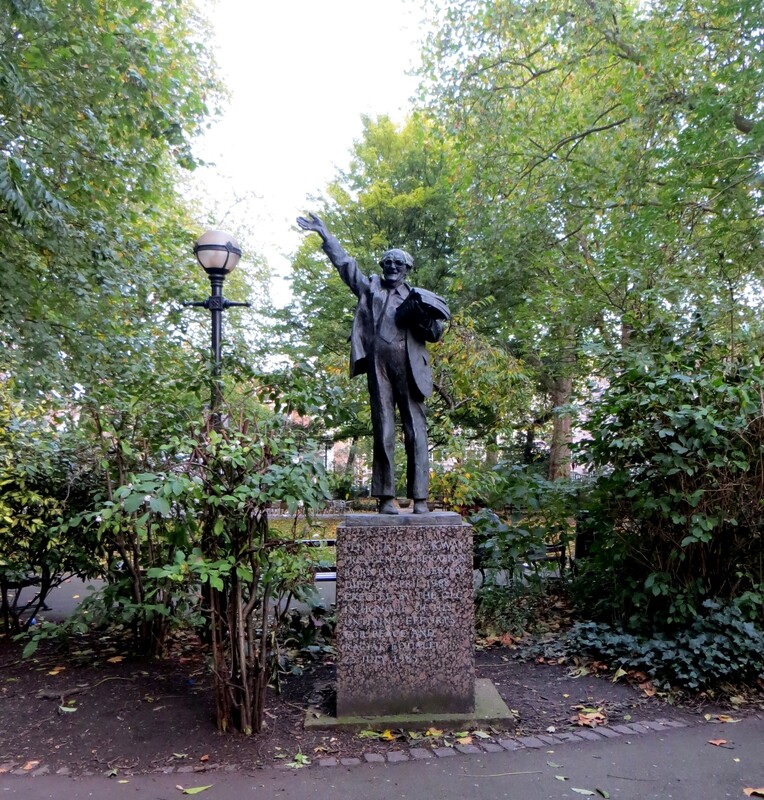 Jonas Hanway (1712-86), a traveller and philanthropist, was a resident of the square, and the man who made it acceptable for men to use umbrellas! (Mr Bradshaw refers to him as ‘Joseph’..). But he was much more beside. He founded the Marine Society which ‘..trained boys for navy service and he also championed the cause of chimney sweeps and poor children..’. He was buried in Westminster Abbey. 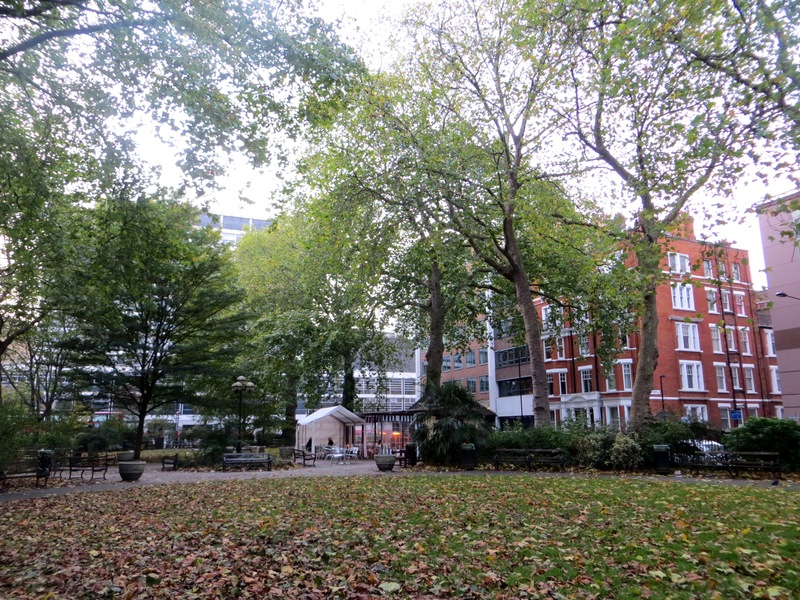 The garden in the square was somewhat dull, but perhaps it was just the changing season. This was interesting, but not an area which grabbed my imagination. Dan is distantly related to Moncure Conway. I thought this was pretty cool not only for him, but for Robin who is currently enamored of all things London. Thank you. It worried me that this might be a somewhat negative post and I was going to follow up today, so I am pleased that you were pleased and hope you will return. Moncure Conway is a distant relative of my husband’s. They seemed to stick to that name a lot. Reading this was really cool. I’m bookmarking this to show to him tonight! Thanks for sharing! Thank you. As you can see from below I am planning to do some more work on this post. It worried me that Mr Bradshaw had brought the square and its people to my attention and I didn’t take it seriously. Please do return.